Our delicious churros have provided great business success since opening in January of 2014. 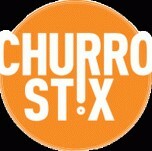 Now, through a lot of hard work and dedication, Churro Stix is going to oﬀer franchise opportunities to anyone who wants to take control of their career and oﬀer a memorable culinary experience one delicious, freshly made churro at a time. Vibe Marketing helps businesses and organisations of all sizes to achieve their marketing goals. Vibe’s consultative, results driven approach sets us apart in the digital marketplace, as does our extensive portfolio of services. In fact, we are so confident in our success that we even offer commitments to results for many of our services. Everybody needs an online presence and everybody wants more sales. Vibe is well placed to help businesses achieve their marketing aspirations.